‘Named after a local fish known for late frolics on the shore’, Grunion was the brainchild of a Ballast Point employee that won a home brewing contest. The result blends two new hop varieties that go together like fish and chips. Or perhaps salt and vinegar. 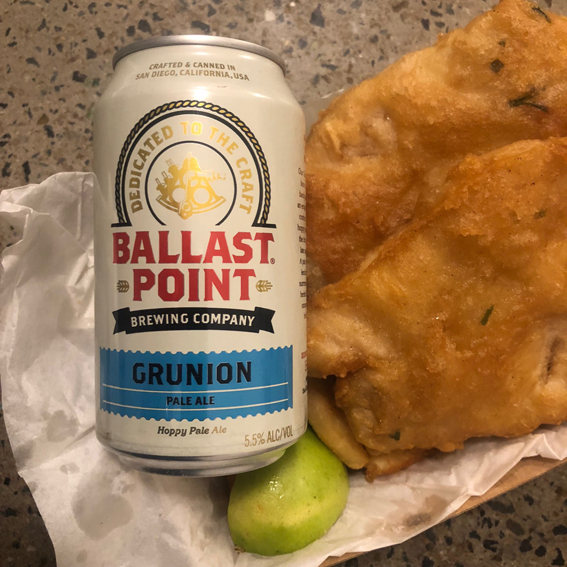 The world is like a big Grunion …..
Ballast Point can do no wrong in my book and Grunion lives up to its ‘hoppy’ billing. 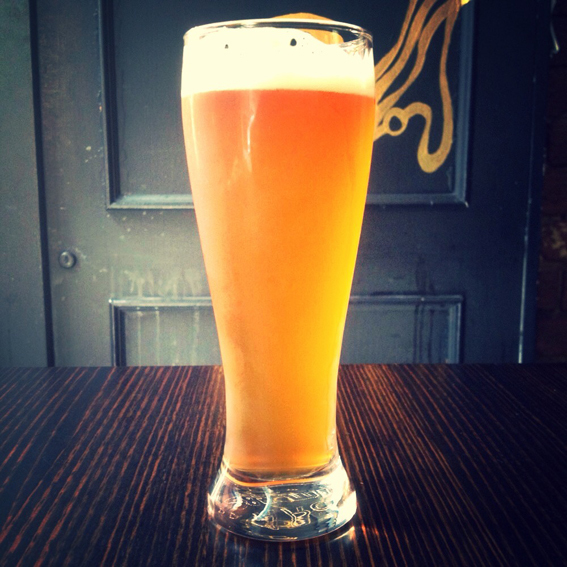 Pale honey in colour, with warm honey tones on the nose, it’s the perfect accompaniment to Fat Freddy’s on a Friday. The bitterness of the hops cuts through the grease and the taste improves the warmer it gets releasing citrus rind and deep honey flavours. A real grower, I like it a lot. Glass onions make way for Green Onions so check out this wild version of the Booker T and the MG’s classic ……….. I can’t believe this was the second 6-pack of Pale Ale that I’ve managed to consume without tasting notes. Something must be right with what’s in the can but I can’t really justify spending another $26 on six more. 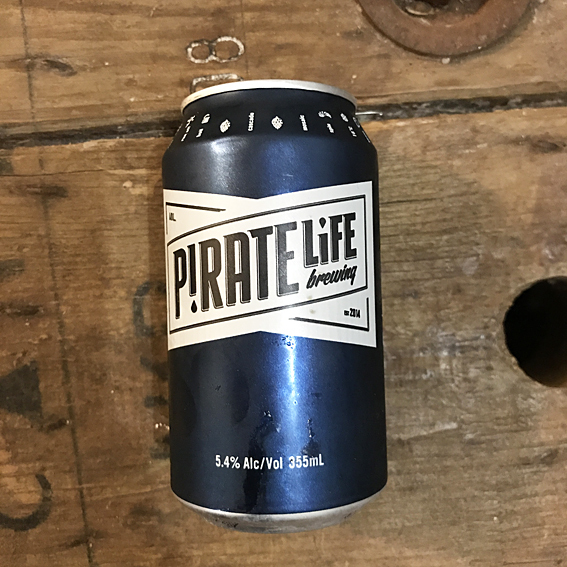 Pirate Life Pale Ale – robbery on the high seas! Don’t get me wrong, I really like this beer! 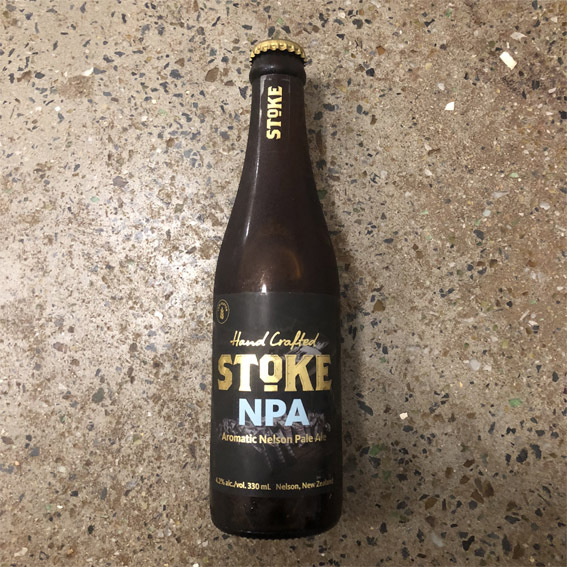 It’s a big-tasting US-style pale, full of hops, malt, yeast and water……….all the right ingredients in the right proportions and that’s about all I can remember. And, don’t get me wrong, I didn’t drink all 12 cans at once. A bit like Todd Sampson, it’s Australian but appears authentically American. I’d love to do anther taster but I’ll wait until I find this on tap before sampling again. Black Beard would have been proud to charge $26 for 6 cans of grog! Here’s the buccaneering Cosmo Jarvis with “Gay Pirates” arrrrrr! I love everything about this beer. I mean, just look at the can! You could frame it and hang it on the wall. And why not, Moo Brew commissioned artist, John Kelly to design all their labels. The Tassie brewers know their stuff and their Single Hop is as classy as the can. The aroma is warm and floral and the beer pours pale and slightly cloudy with a good head. The taste brings back memories of barley sugar and there’s enough bitterness to keep you mouth-watering until the next sip. On tap, this would be dangerous. More please. 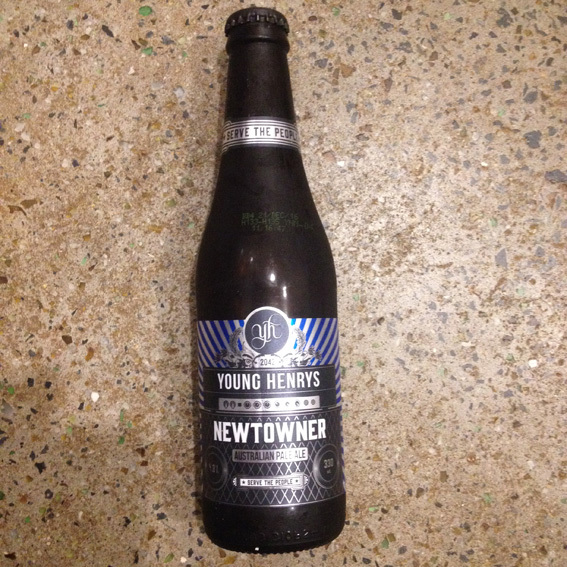 Being an ex-Erskinevillain, I was drawn to this beer, named after thriving urban playground of Newtown, in Sydney’s inner-west. I have a dream that one day a brewery will send me a carton of beer for the free promotion service I provide to my thousands of readers. “Serve The People” is Young Henry’s mantra. Here’s Senator of Soul , Curtis Mayfield with “People Get Ready ……. So, my first beer in Tramtown for nearly a year. Having made good use of the Untappd beer finding app, I found myself in the Deja Vu Bar in Little Lonsdale St, ready for an early doors liven’er. Walking in the door I had the strange feeling I’d been there before? Despite its unassuming exterior, the Deja Vu is a beer hunter’s heaven, with a fine selection of craft beers, both bottled and on tap. Oooh, what to have? I’ll try the Feral Brewing‘s “Tusk” please (favourite animal: elephant). Yes, just a schooner, um I mean pot, or whatever you call it down here. Oooh, that looks nice, how much? $15! This had better be good. After I’d recovered from what I call ‘Metro-shock’, I realised that this was indeed a very special ale. At a hefty 11%, it’s like having 2 beers in one glass and therefore saves a lot of time (still makes it $7.50 a schooner). The surprising thing is that it doesn’t taste like 11%, its much smoother than you’d think. A nice balance of nectarines and yeast, not overly hopped but rather a substantial, fruity pale ale. I liked it a lot but luckily couldn’t afford another one ……. and I had to walk home. 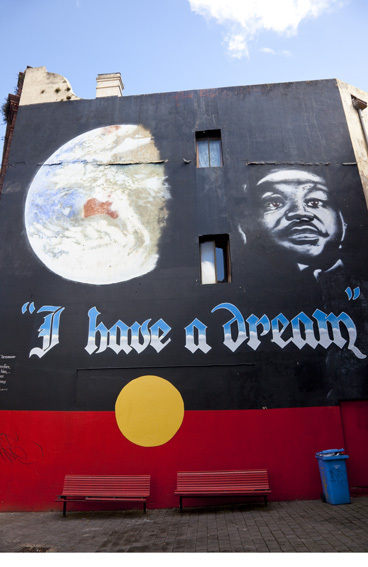 According to the Wicked Pedia, “Yenda is a town in the Riverina district of New South Wales, Australia. The town is located about 16 kilometres (9.9 mi) east of Griffith, 45 kilometres (28 mi) of Narrandera, and 550 kilometres (340 mi) west of Sydney in the Murrumbidgee Irrigation Area of southern New South Wales. Although most of the original 15-acre farms have been consolidated into large vineyards and most farmhouses have disappeared, farm roads are named after the original settlers. In 1940 Yenda had two clothing stores, two bakers, two butchers, two grocery stores, two barbers, one newsagency, one pharmacy, one cinema, one Greek restaurant and one bank but residents now do their shopping in nearby Griffith. At the 2011 census, Yenda had a population of 1,503.” Strangely there is no mention of a craft brewery? 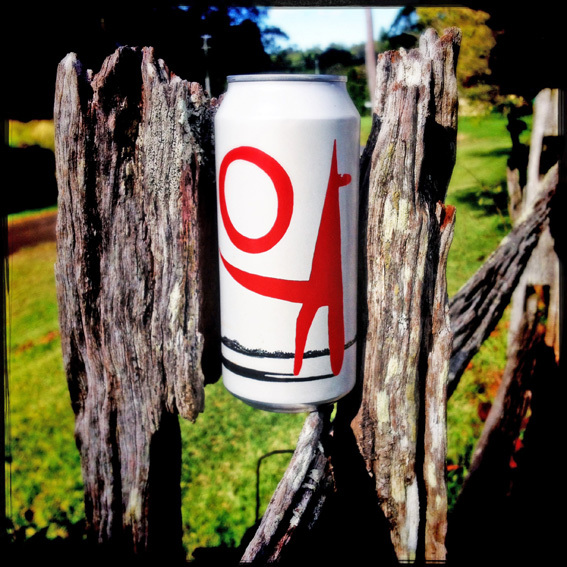 Yenda Pale Ale – A sheep in wolf’s clothing. 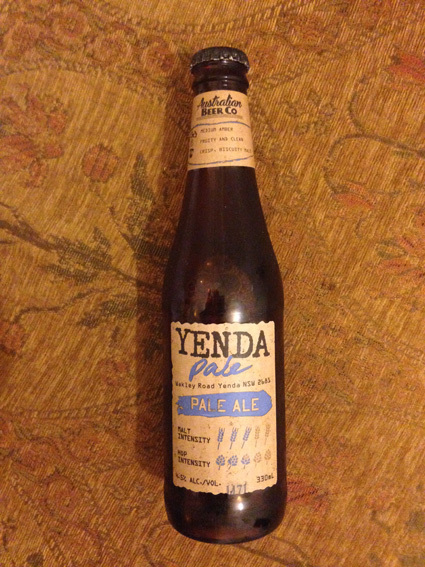 Now, there obviously is a brewery in Yenda, ‘cos that’s where they make ‘Yenda Pale Ale’, an Australian-style pale with a ‘3 out of 5 malt intensity and 3 out of 5 hop intensity’. Why am telling you all this? You can read it in the bottle! In fact, The Australian Beer Co has done all it can to help you in your craft beer experience. What the label doesn’t tell you is that the Aus Beer Co is owned by Coca Cola Amatil, therefore it isn’ a craft beer. 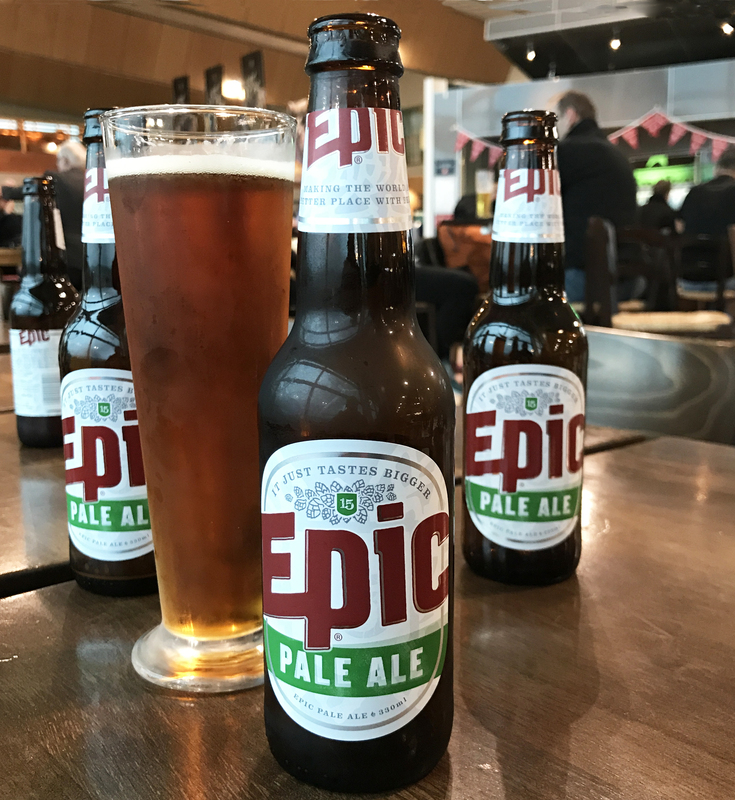 What it is is a multi-national soft drinks company masquerading as rural brewer, trying to cash in on the craft beer revival. It tastes alright, but is not as nice as full fat coke. Here’s the Skids with ‘Masquerade’ ………. check out Jobson’s dancing! 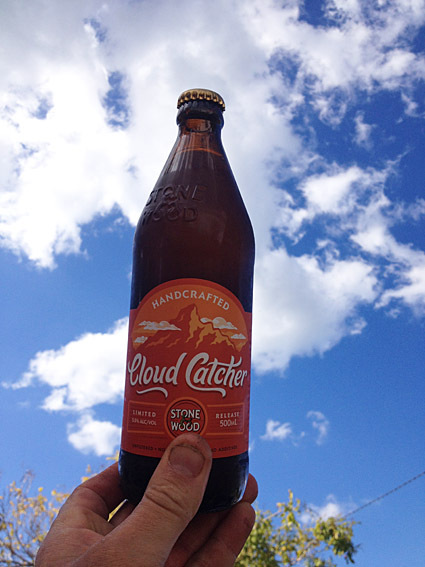 Brewed by Byron Bay’s renowned Stone & Wood brewery, ‘Cloud Catcher’ is a limited release brew packed with fruity flavours. 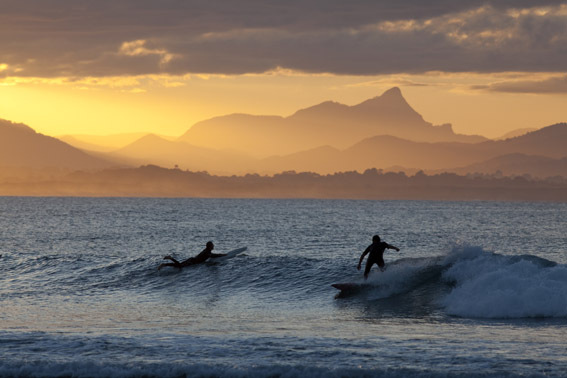 Named after the iconic Mt Warning that over looks the bay in Byron (the indigenous name for the mountain, ‘Wollumbin’, means ‘Cloud Catcher’ in the local Bunjalung dialect), it sports the distinctive peak on its label. Cloudy by name, cloudy by nature, it has the fruity aroma I also associate with Stone & Wood’s Pacific Ale. Cloud Catcher moves smoothly over the tongue, releasing bursts of apricot jam with hints of strawberry Lovehearts and lemon sherbert. It’s the perfect foil for the chilli-fuelled veggie nachos that I’ve just consumed and just might be my new favourite beer! A special thanks to subscriber, Pete R for delivering the sample ales. 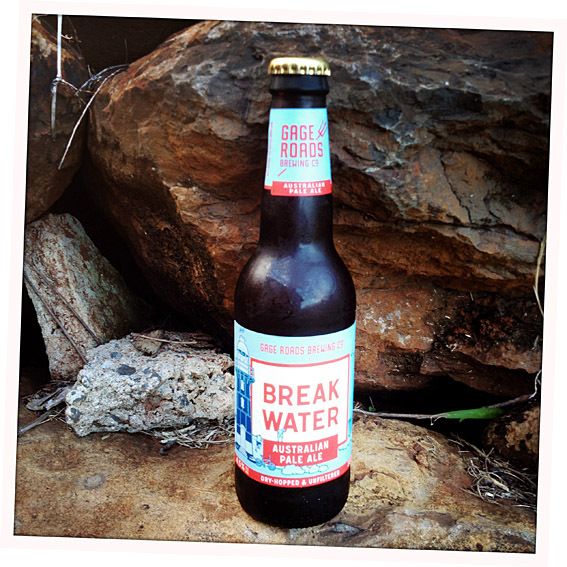 Not to be confused with the American, Dry Dock Breakwater pale, this comes from Western Australia’s Gage Road Brewery. I’m a big fan of their Atomic Pale Ale and so was looking forward slaking my thirst with their new edition. For a dry-hopped ale I was expecting a bit more bite. There’s a slight aroma of elderflower, and this flows over into the taste. There’s a hint of Wax Jambu there too ……….. in other words, not much taste at all. It might make a refreshing summer throw-down but not up to the giddy heights of the Atomic. Perhaps it’s not a good idea to put the word ‘water’ into the name of a beer …… ‘Adam’s Ale’ might have been more fitting.